The new TRU-Balance® 3 10” HD Power Adjustable Seat Lift with a weight capacity of up to 400 lbs. is now available on the Q6 Edge® HD Power Chair. 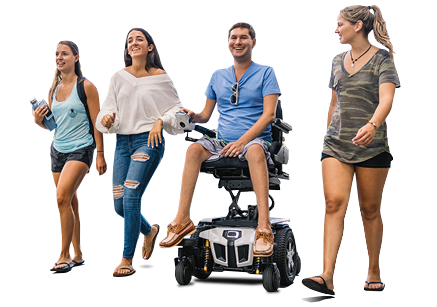 Features include 10” of lift, seating sizes up to 24” x 25”, an adjustable seat-to-floor height and easy access to batteries. View the TRU-Balance 3 10" Seat Lift.